So now the weeks are up and the selected builder is Wally Yachts which Ben says was always the front-runner for the project, designed to be a super fast eco-conscious next-generation sailing yacht with low running costs and striking looks. Ben says: "It was clear to us from the start that the choice of yard would be crucial to the concept's ultimate success, and the synergies between the two brands made Wally our first and only choice for Aeroyacht. I am delighted that the partnership has been confirmed." 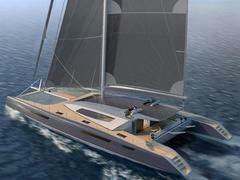 The eventual asking price is not yet confirmed, but the first yachts should hit the water in late 2011.